Are we meant to have two towing eyes? The one I have looks like it is too short for the rear spot? Anybody got any pictures of the their towing eye that works? Yeah, I am not sure either. Did yours fit in the rear fine? 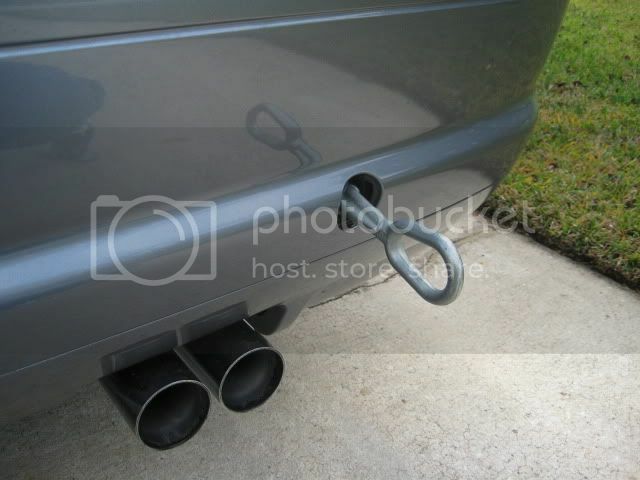 The tow hook on the left is for an E46 M3 and the one on the right is for an E9X. 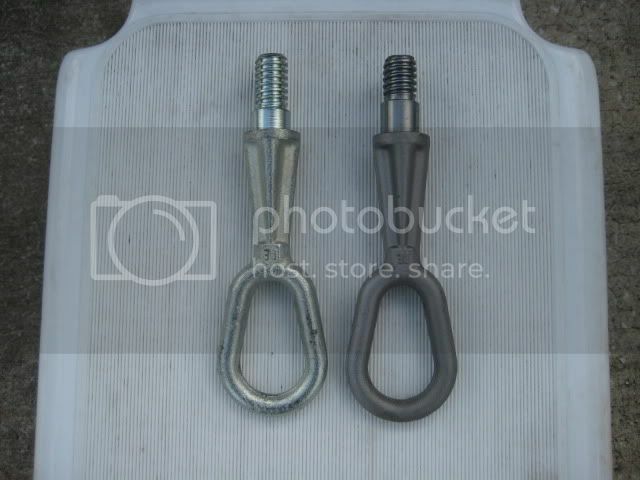 They are the same, but note the threads on the E46 M3 tow hook are deeper. The next picture shows the E46 M3 tow hook fully screwed into the rear bumper opening. It sticks out a good way though. I wouldn't put any side loads onto it though, because one would surely damage the Kevlar bumper bar! Bringing this thread back, sorry. What all is supposed to be in the trunk? When i lift up the first black panel, there is an amp the original owner mounted, but under the 2nd panel there is no spare, no 2nd tow hook, completely empty. 2008 Caliber SRT4 330WHP>2003 Terminator 510WHP>2000 Civic SI turbo project fail 180HP>2003 E46 M3. You live and you learn. anyone have a rear OEM towhook they want to sell? Mine is gone and the front one is ttoo short like the OP said. Seven years of college, down the drain . . . .
All times are GMT. The time now is 06:13:37 PM.